A secret ball pit! Top of the slide is located in the children's closet. 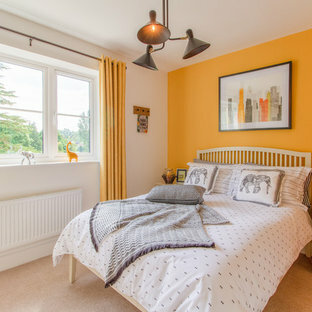 With Graphic, kids and teenagers’ bedrooms entice even the grown-ups with a contemporary collection that cleverly includes current clothing trends. 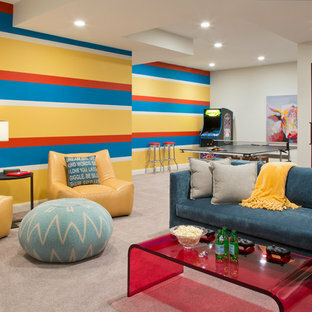 Bright and uncluttered, relaxed and chic; Graphic is also original with little touches of colour. 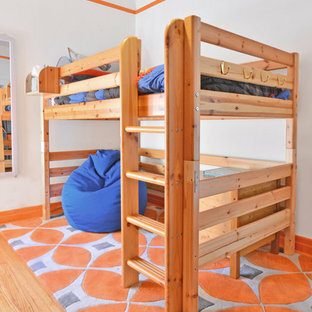 Each of the children’s bedrooms was designed to reflect the tastes and interests of the child, with new carpeting, wall colors, furnishings and fixtures. The eldest daughter’s room features shades of teal blue and white with a dreamy canopy bed. 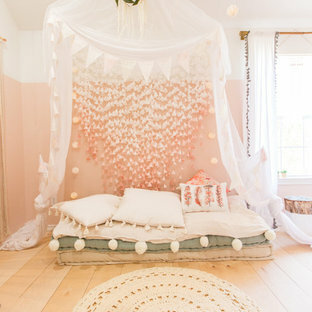 The youngest daughter’s room has shades of pink with a custom bed canopy. 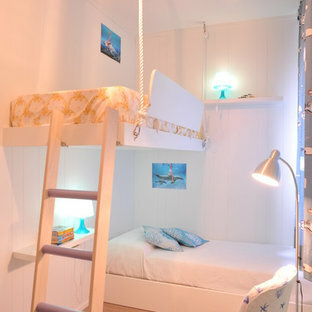 The son’s nautical themed room is based on an heirloom artwork.